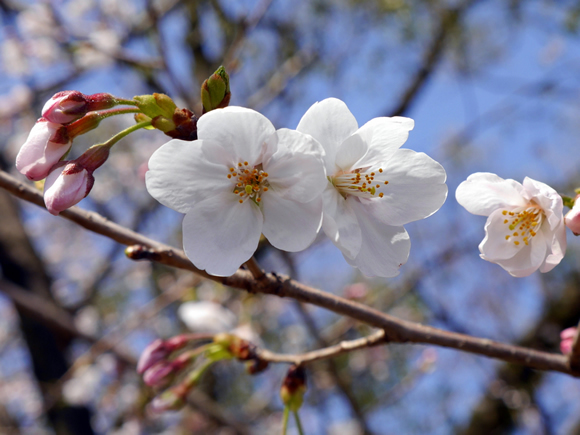 This week the cherry blossoms are blooming in Japan. This week is also my father’s birthday. (Happy birthday, Dad!) He lives in Quincy, Illinois, the town in the U.S. Midwest where I grew up. 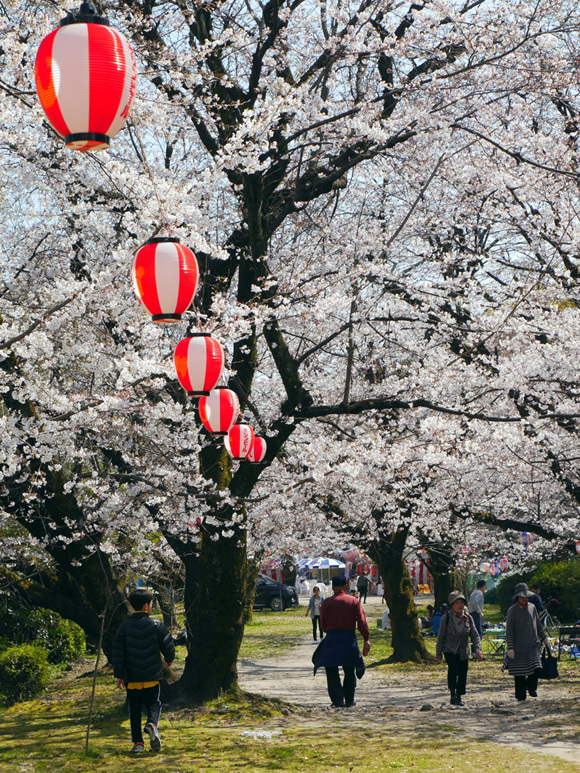 In a way, there’s a profound connection between the two because the short-lived cherry blossoms—they bloom beautifully for just days before they fall—are a sharp reminder of how precious and fleeting our lives actually are. My father—and my mother, who lives in Memphis, Tennessee—are now both in their 80s. 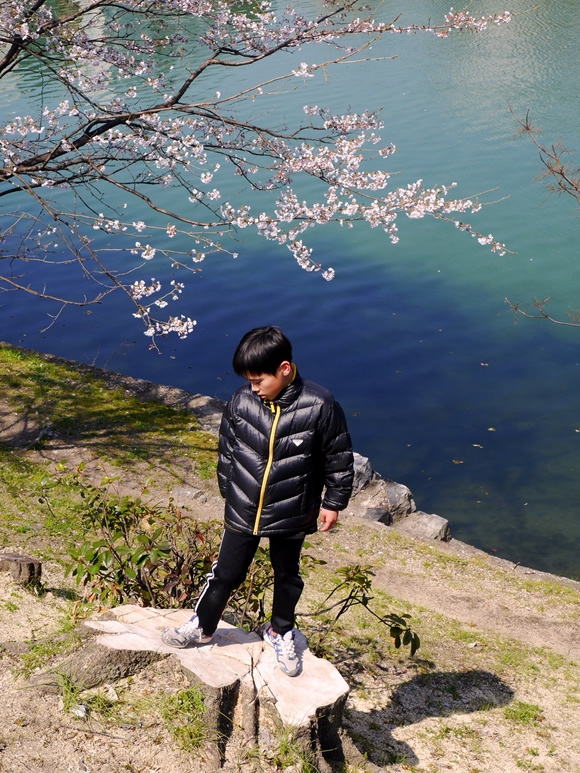 To be honest, although I’ve spent 20 good years in Japan, the fact that we live so far apart has been the deepest downside of this bilingual and bicultural journey. While I regret that the reality has left much to be desired—that we couldn’t have lived closer than half a world away from one another—at least I hold no regrets over the efforts I’ve made to help bridge the distance between us. With the blessings of modern technology (how much more difficult it would have been just a generation or two ago! ), I’ve done what I can through return trips, Skype chats, phone calls, photos and video clips posted online, and even old-fashioned letters and postcards. My main motivation for all this has been, of course, to nurture a relationship, a loving bond, between my children and my parents. Despite the daunting distance, I’ve wanted my kids to know their special grandparents in the U.S., and gain fond, lasting memories of them, while giving my parents the chance to share in the joys of their grandchildren’s young lives. At the same time, it was also clear to me from the start that these interactions—and the minority language exposure they provide—would help advance our bilingual aim. Thus, hugely positive results could be realized in both ways, simultaneously, as long as I made this a high priority and kept up my efforts to maintain these connections. Though there’s always been an undercurrent of sadness to this situation, I still feel fortunate to say that these twin goals—fostering an emotional bond while fueling language development—have been largely achieved. Friends, if the opportunity is there for your family, I urge you to make the most of the limited time you have with grandparents. Make this a priority in your life and pursue regular efforts to create connection and interaction. 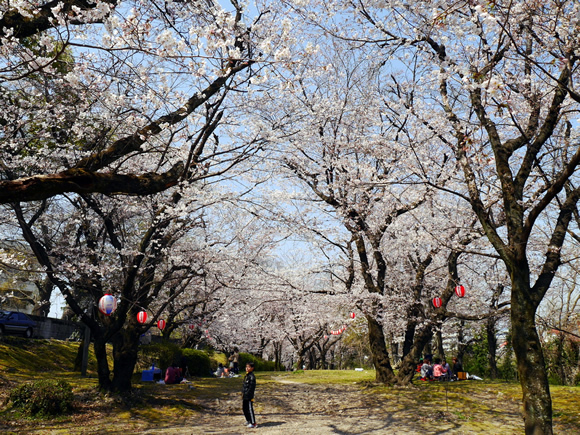 This opportunity—like the cherry blossoms—is precious and fleeting and will be gone before long. So do what you can, to whatever extent is realistic for you, to bridge the distance and realize a loving, language-filled relationship between your children and their grandparents. How about you? Is there more you could do to help bridge the distance between your children and their grandparents?